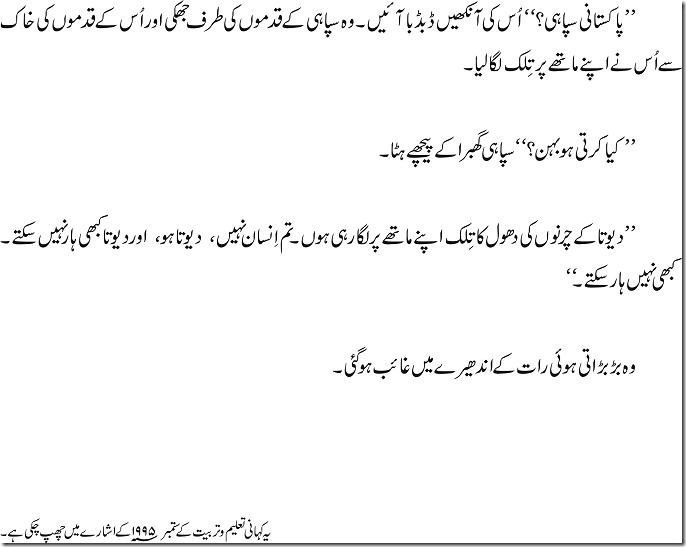 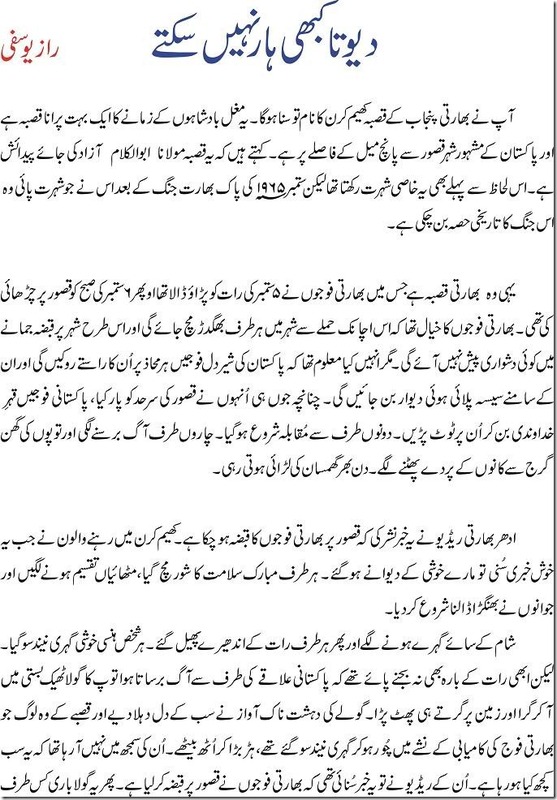 Worth reading story of Pakistan Army in 1965 when Indian Army attacked Pakistan. 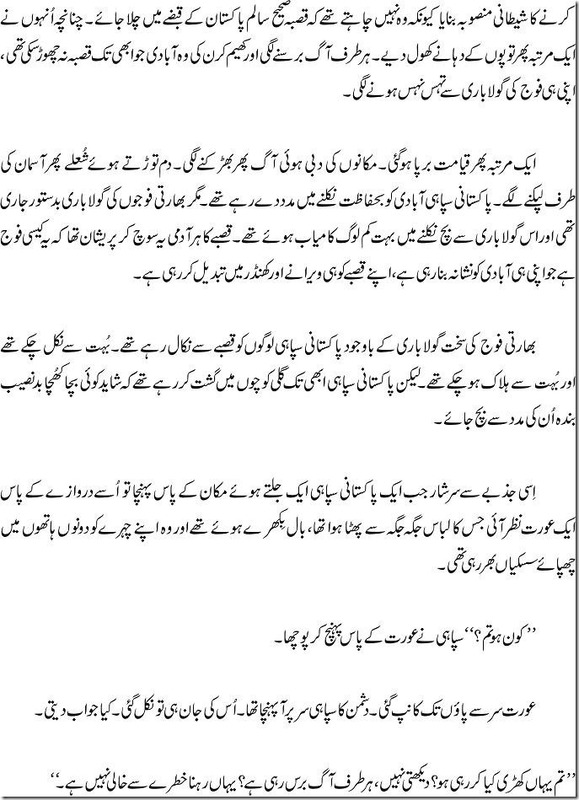 This is the story of Pak Army Soldier how he helped Indian Lady in village of Khem Karan when her child was trapped in burring house. 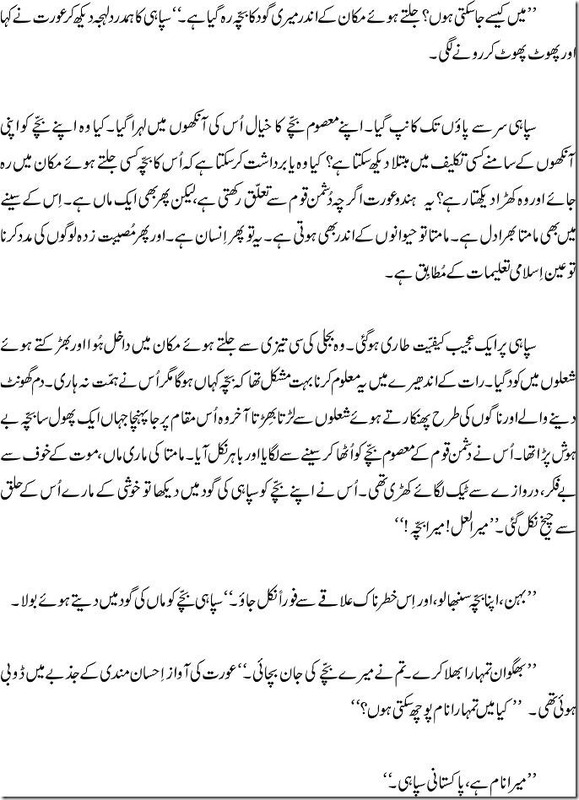 Must read..